With a bit of exaggeration one could say that history is divided into pre-Google and post-Google periods. The system, cooked up by two Stanford University students in 1998, is now being copied all around the world. Fortunately, there are comparable “domestic” choices. 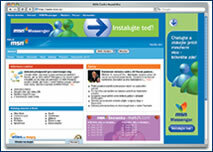 This search engine, launched in the summer of 2002, was created specifically for the Czech environment, and has no problem with diacritical marks or grammatical errors. Thanks to its Inspell dictionary it masters declensions and tenses, and besides HTML documents you’ll find formats like PDF and Word! The opening page is an ode to simplicity, with only a place for entering inquiries. Before you click on Search (Hledej) you can specify whether the service should review freeweb, articles, catalogs, university servers, video, music, or images. This is moreover the search engine used by the most visited portal in this country – Seznam. 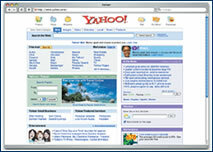 Microsoft decided to drop the paid service Yahoo and set up its own route. 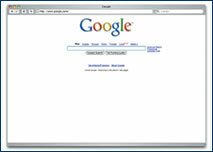 It claims that MSN Search indexes five million pages, about two-thirds as many as Google. Answers arrive faster and users appreciate the direct link to the encyclopedia Encarta. Although the search engine does not yet support Czech, it is said to be visited by 500,000 Czech users a month, and this will certainly increase as a result of the announced cooperation between Microsoft and the Atlas.cz server. You can expect expanded services, including the largest internet database of firms. The beta version has also been improved – at beta.search.msn.com. This search engine, which has been around since the early days of the internet, was also created in a Stanford dormitory. While it eventually became affiliated with Google, last year it regained its independence. The latest version, Y!Q, has been upgraded for easier acquisition of mutually intertwined information. When browsing the site, you can search for associated reports by clicking on relevant links without having to leave the currently viewed page. An international search engine that daily processes over 200 million inquiries. It doesn’t decline Czech words, find synonyms, or check grammar, yet it has other useful functions. For example, if you search for Ford Focus, over seven million pages appear. To cut the selection by about two-thirds use quotation marks: “Ford Focus”. To eliminate certain connections, put a minus sign in front: Ford focus -Finnish rally. Entering Ford Focus + 1989..2003 (insert two periods between the years) will limit responses to this time frame. Entering a price range – Ford Focus 180,000..222,000 – will yield similarly constrained results. A high-quality Czech search engine that is structured like Google. It supports Czech, with all its specifics, so if you enter “kočka” (cat) and want to see other sites “o kočkách” (about cats) – this is where to find them. 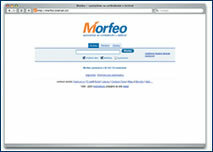 Like Jyxo, Morfeo handles diacritical marks, distinguishes synonyms, allows for expanded searches, and shuns advertising.The very popular portal Centrum (http://www.centrum.cz) uses Morfeo services, but it automatically adds various sponsor links to websites of catalogs and advertising, so we recommend that you just use Morfeo.